"We had a great time and enjoyed the resort thanks to all the..."
Situated by the clear waters of the Andaman Sea, the 5-star Robinson Club Khao Lak features a full-service spa and 3 outdoor pools set in peaceful tropical landscapes. The hotel is 2.5 km from Pak Weep Beach in Khao Lak National Park. Buffet breakfast and 6 dining options are available. 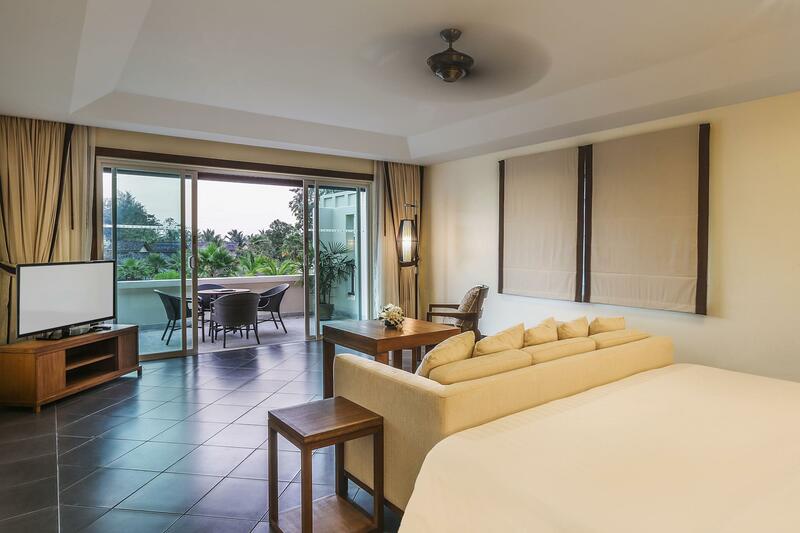 Featuring classic wood fittings, large rooms and suites open out to a private balcony with garden or pool views. They feature a flat-screen TV and spacious bathroom with rain shower. 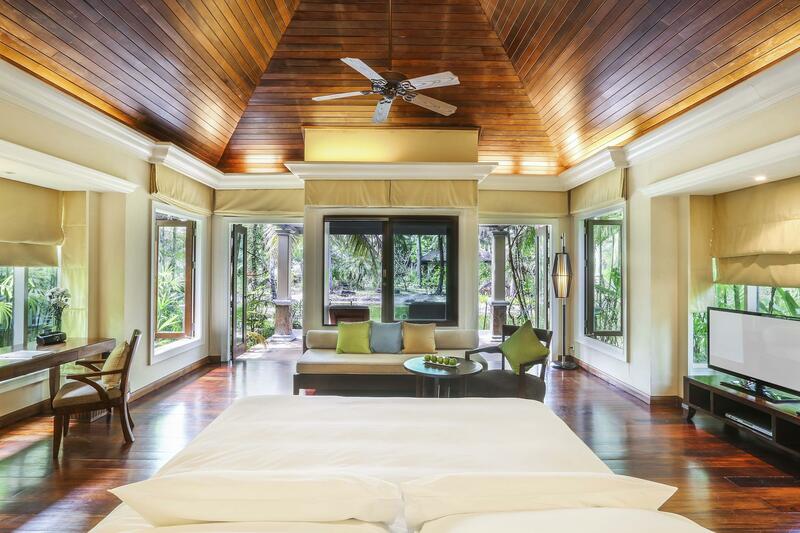 Robinson Club Khao Lak is a 30-minute drive from Tublamu Navy Golf Course. 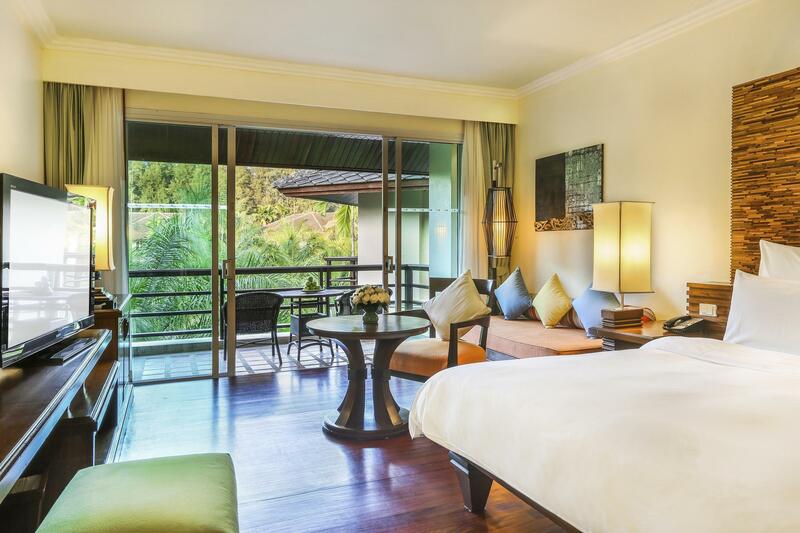 It is 19 km from Takua Pa market town and 83 km from Phuket International Airport. Free parking is available. The spa offers relaxing menus of traditional massages as well as private treatment villas. Other leisure options include a fitness centre, a wide variety of sports and the adventurous excursions to the nearby national park. Dining highlights include refreshing cocktails at Vista, which features panoramic views of the ocean and the resort’s grounds. Thai specialities can be enjoyed at the Baan Thai restaurant. "Great facility, excellent staff, excellent breakfast"
Children 4 – 11 years stay for free when using existing bedding; however, there will be an additional breakfast charge of THB 430 / child / day. The charge is to be paid at the hotel. Guests under 12 years old are not allowed to stay in Premium Deluxe Spa Room. It was an pleasant stay. We had just 2 days off, so only 1 night we stayed at Le meridian. We could get the room earlier than standard C/I time so we went to swimming pool to relax. Maybe cause of rainy season, it was quiet and peaceful whole property. We enjoyed the beach, Pool, cozy Thai restaurant. I would recommend this hotel to my friend and I 'd like to come back. good quality of food, comfortable room and choice of swimming pools. As a family with two children aged 13 and 9, we had a great time at this resort. The food was good and we especially liked the High Tea and Italian food. The Activities Sheet should indicate which activities are free and which are chargeable. Counter staff should let guests know upon check-in which days the market in town is open as we only discovered by chance on the day we decided to go to town. Getting ice delivered to the room took a while and sometimes two calls. It would be nice to have a few "lady" sized bicycles at the Sport Centre. Overall, it was a lovely experience. This hotel is great, but a little on the ageing side. One major issue we had was the rotten tomatoes on the Bloody Mary Breakfast Bar, which went un-noticed for days. When this was pointed out, new rotten tomatoes were the replacement! Not to mention the brown celery.... We upgraded to use the Villa Breakfast Room so as to join our friends staying in this area. The service really needs to improve. We booked an oceanfront pool villa and arrived with high expectations. To make it short...everything was as expected or even better. The room, the view, the beach...everything perfect! We hope to return next year with the whole family. Good hotel. The room is very big and clean. Good taste food. The staffs must be more friendly and give more smile to guests. Fantastic stay in beautiful resort. Friendly staff, amazing beach & relaxing atmosphere. Excellent service and the villas are phenomenal. I was asked for my Room number when I hadn't requested anything.